Europe’s top club coaches have asked Uefa to review the use of the away-goals rule in continental competitions. They also want the transfer window to end at the same time in all the continent’s major leagues. 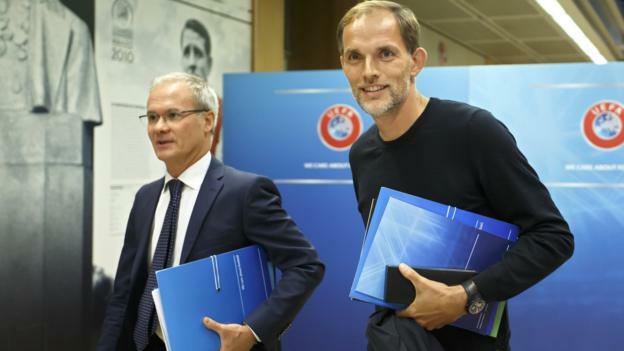 “The coaches think that scoring goals away is not as difficult as it was in the past,” said Uefa deputy general secretary Giorgio Marchetti after the meeting in Switzerland. The annual gathering included Manchester United manager Jose Mourinho and Arsenal boss Unai Emery, plus Emery’s predecessor Arsene Wenger, along with Juventus’ Massimiliano Allegri, Real Madrid’s Julen Lopetegui, Carlo Ancelotti of Napoli and Paris St-Germain’s Thomas Tuchel. The rule was first introduced in the former European Cup Winners’ Cup competition in 1965 as an alternative to tossing a coin or staging a replay on a neutral ground at a time when travelling abroad was far more challenging.